Copyright is a type of protection over something original (story, poem, song, artwork, etc) created by someone. The creator can protect his or her work from being used without his or her permission, other people claiming his or her work as their own, or using your work and making some changes and then calling it their own work. Plagiarism is using someone else's ideas and not giving them credit, basically taking the credit yourself. The way to cite sources depends on the teacher, but all formats involve the author's name, date it was created, title, and page number/website. 2. Use quotation marks to use an exact quote. "On Saturday he ate through one piece of chocolate cake, one ice-cream one, one pickle, one slice of Swiss cheese, one slice of salami, one lollipop, one piece of cherry pie, one sausage, one cupcake, and one slice of watermelon. That night he had a stomachache!" 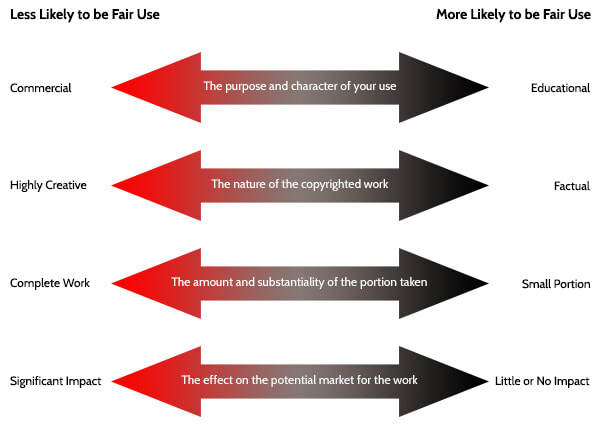 Fair use means the public has the right to use a fair amount of copyrighted material without having to ask permission from the copyright owner, for reasons like teaching, commenting on, reporting on, or criticizing the work.